The Crusher Bucket is used for recycling various aggregates, such as rock, concrete, granite, and brick. The bucket allows companies to recycle and reuse materials eliminating the cost and need for landfill. Output material ranges from 20mm – 120mm. Different sized shims are used to determine product output size. 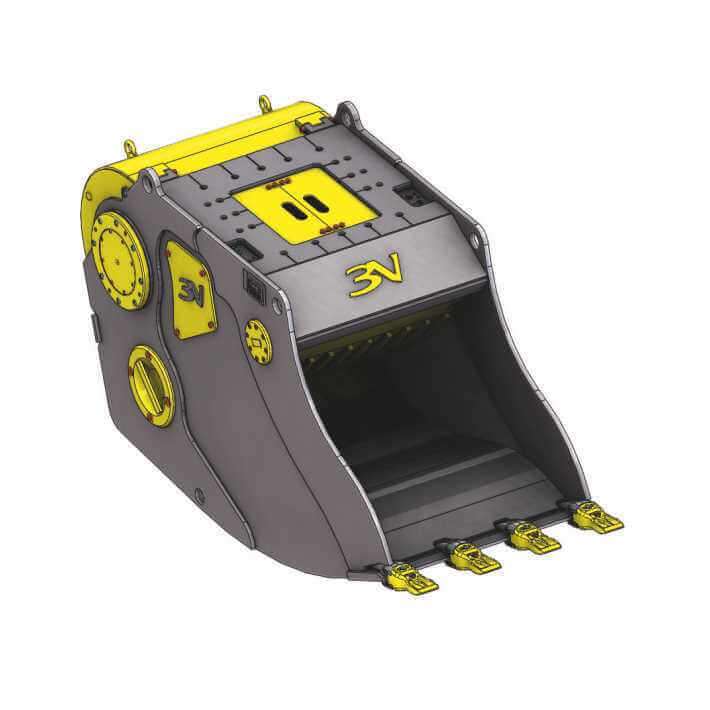 A range of crusher buckets are available for hire nationwide and will be delivered, fitted and tested on your excavator. Recycle stone, concrete, and general non-metal hard waste. Materials can be re-used, eliminating the need for them to go to landfill. Can be fitted to 12 to 27 ton excavators. 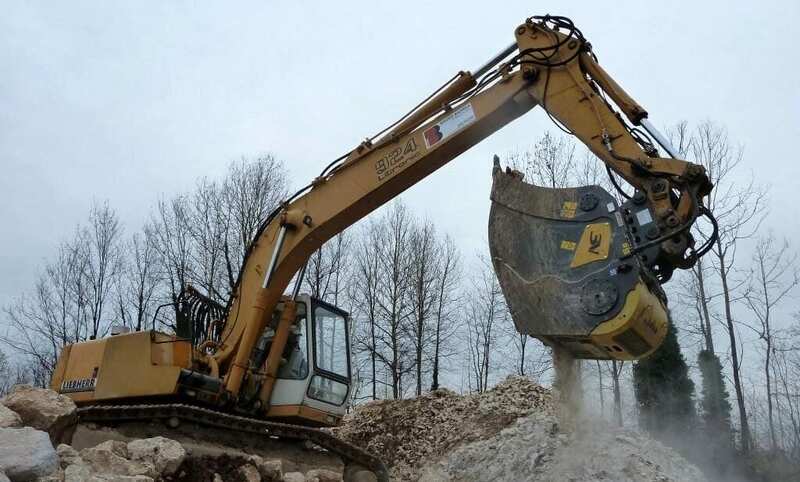 A drain line will need to be fitted to your excavator by an engineer before you can use this attachment.